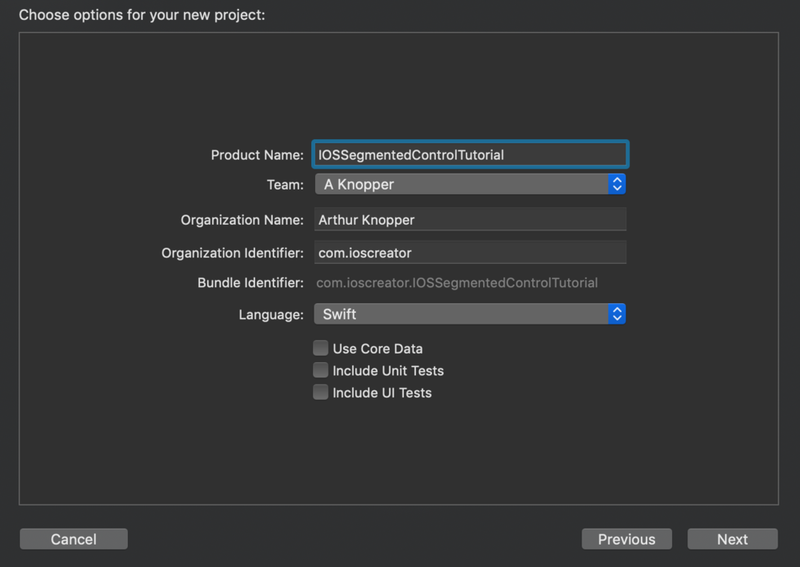 For product name, use IOSSegmentedControlTutorial and then fill out the Organization Name and Organization Identifier with your customary values. Enter Swift as Language and choose Next. Go to the Storyboard and drag a Segmented Control to the top of the main view. 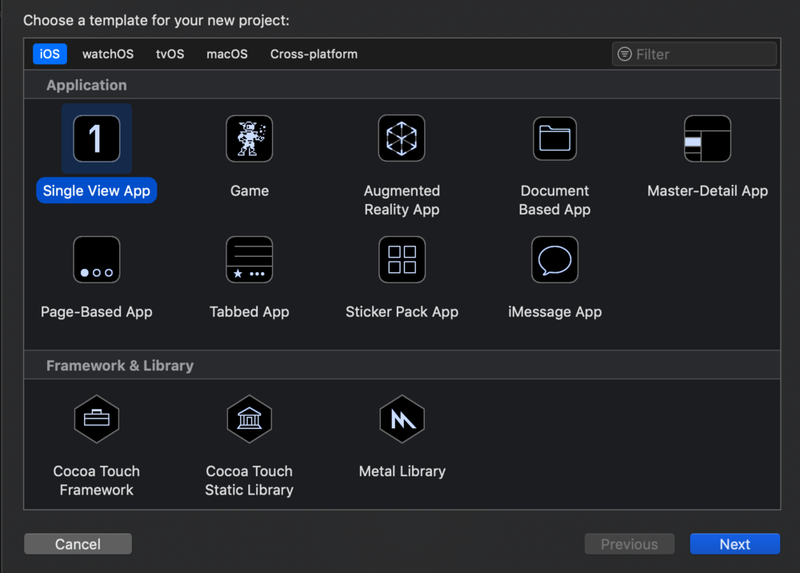 Also drag a Label to the view and place it below the Segmented Control. 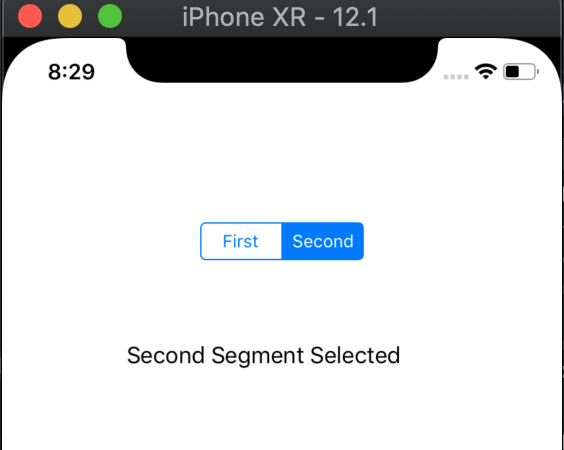 Select the label and give it a text of First Segment selected. The Storyboard should look like this. 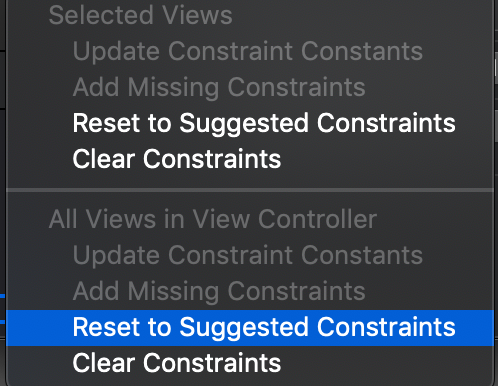 Select the "Resolve Auto Layout Issues" button on the bottom-right of the Interface Builder and choose "Reset to Suggested Constraints"
Select the Assistant Editor and make sure ViewController.swift is visible. 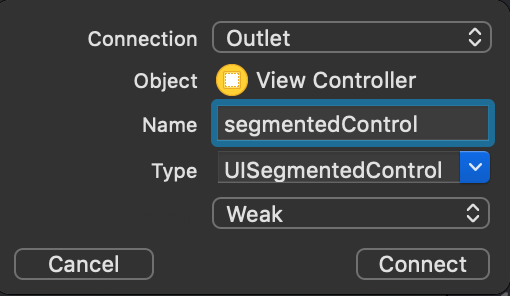 Ctrl and drag from the Segmented Control to the ViewController.swift and create the following Outlet. 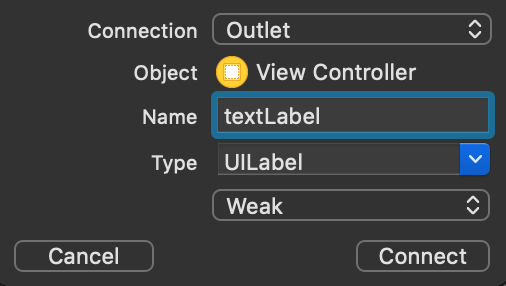 Ctrl and drag from the Label to the ViewController.swift class and create the following Outlet. Again, Ctrl and drag from the Segmented Control to the ViewController.swift class and create the following Action. The indexChanged method is called when the segment index is changed by the user. Implement this method. textLabel.text = "First Segment Selected"
textLabel.text = "Second Segment Selected"
You can download the source code of the IOSSegmentedControlTutorial at the ioscreator repository on github.